Welcome! Keller Construction Management is a full-service construction management firm offering a wide range of services to meet our client's needs. Learn more about the services we provide. Keller Construction Management has a reputation for delivering top quality buildings, safely, on-time and on-budget. Learn more about the markets we serve. We achieve client satisfaction by working closely with clients and partners. We continuously strive to identify more efficient techniques. 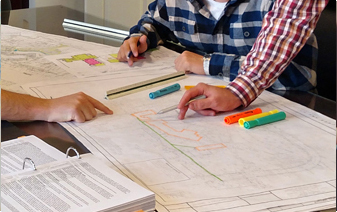 Our team delivers projects on-time and on-budget. Contact us today to learn more about the services we provide..
Keller was recently featured in the Winter issue of Building Washington Magazine. The article highlights successful family businesses in the Washington Metropolitan construction industry. Keller Construction Management was recently awarded a contract to provide Design-Build services on the Apple Ridge Pool and Bath house project for Montgomery Village Foundation. Keller Construction Management is proud to announce the launch of its new corporate logo. 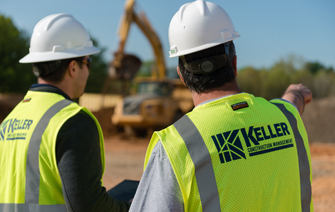 The logo was redesigned to better reflect the evolution of the Keller Construction Management brand and the clients and markets it serves.